Founder of Zenith Bank, Jim Ovia, President of First Bank, Ibukun Awosika and managing director of LADOL, Dr. Amy Jadesimi are set to lead other continental decision-makers from industry, finance and politics to the 7th edition of Africa CEO Forum 2019, the largest international meeting of Africa’s private sector slated for March 25 and 26 in Kigali, Rwanda. Business Hilights gathered that participants from more than 70 countries are coming to discuss regional integration along with other key topics for the development of Africa’s businesses. At a time when intra-continental trade remains too weak, Africa’s most influential business leaders have decided to come together and make their voices heard. They are convening at the Africa CEO Forum 2019 to bring to the fore the burning issues to address in order to make African economic integration a reality. Their goal: to make the implementation of the Africa Continental Free Trade Area (CFTA) a powerful driver for private sector growth and the emergence of new African champions. 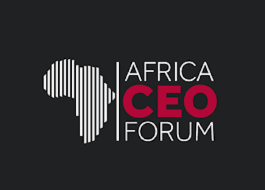 The Africa CEO Forum 2019 will unite its 1,500 participants around a real agenda for transformation and will attempt to answer key development questions including how can we mobilize the private sector around cross-border infrastructure and logistical projects? What insights can be drawn from the East African Community – considered the most successful regional model – given the tense new political waters? What must a united Africa do to better protect its interests and industries? Numerous prominent figures are expected to lead the debate through their own insights, including Philippe Le Houérou, Executive Vice President and CEO of IFC; Nadia Fettah, CEO of Saham Finances; Tewolde Gebremariam, CEO of Ethiopian Airlines; Patrick Njoroge, Governor of the Central Bank of Kenya; Naguib Sawiris, Executive Chairman of OTMT; Christina Foerster, CEO of Brussels Airlines; Abdulsamad Rabiu, Executive Chairman of BUA Group; Benedict Oramah, President of Afreximbank; Kuseni Dlamini, Chairman of Massmart ; Diane Karusisi, CEO of Bank of Kigali; Jean-Kacou Diagou, President of NSIA; Manuel Mota, CEO of Mota Engil; Habiba Laklalech, Deputy CEO of Royal Air Maroc; Ambroise Fayolle, Vice-President of the European Investment Bank; Junior Ngulube, CEO of Sanlam Emerging Markets ; Grégory Clemente, CEO of Proparco; Issad Rebrab, President of Cevital; Abderrahmane Benhamadi, CEO of Condor; Alioune Ndiaye, CEO of Orange Africa Middle East; and Joshua Oigara, CEO of Kenya Commercial Bank Group.